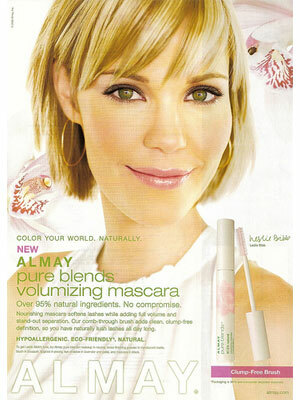 Leslie Bibb (born Leslie Louise Bibb on 17 Nov 1974 in Bismark, North Dakota), American actress and fashion model. She starred in the movies The Skulls, Iron Man, Iron Man 2, and Zookeeper and in the TV series Popular and American Housewife. Leslie signed with Almay in 2008. "One of the entertainment industry's brightest young stars, Leslie will bring her classic beauty, ease and accessibility to a variety of different campaigns," said David Kennedy, President and CEO of Revlon.